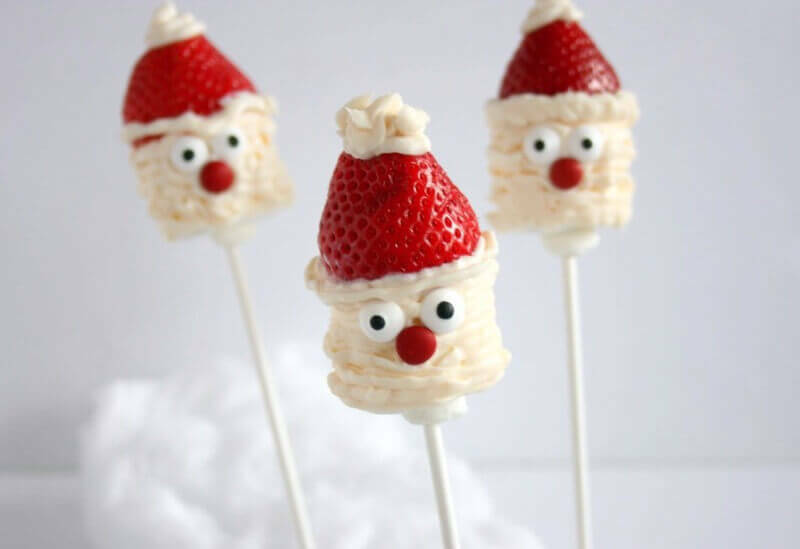 Kick off the season by making these adorable Santa Marshmallow Pops with your kiddos then share with friends and family to spread kindness and holidays cheer. 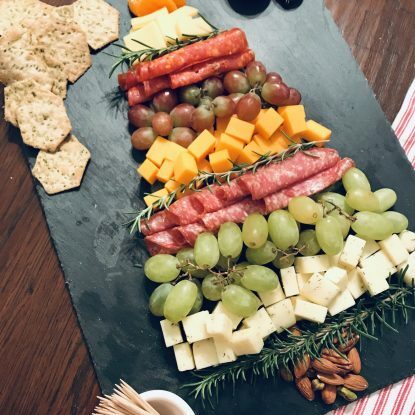 Move over cake pops! A new (healthier) holiday cake pop is here just in time for your Christmas festivities. 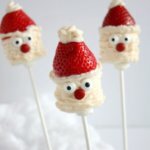 My Santa Marshmallow Pops with strawberry hats are an easy treat, dessert, or yummy food gift that are easy to make and a fun way to create memories with your children. Growing up, I have fond memories of baking cookies, making candy and decorating gingerbread houses with my mom and sister. Now that I’m a mom, I’m trying to continue the tradition with Ellie and Frances. One thing that we love doing is “blessing” people with a sweet treat, handmade/homemade card and a smile. 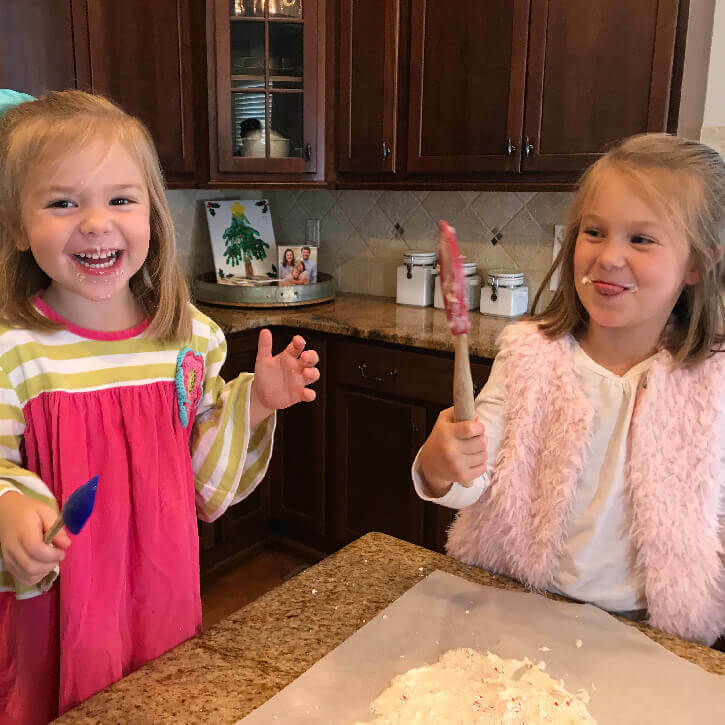 I try to instill these random acts of kindness into our everyday lives so that they will come naturally to the girls as they grow up. For example, we have the most kind mail lady, Miss Angela, that we speak to at the mailbox at least once a week. The girls have become very fond of Miss Angela so we’ve had a good time making and packaging homemade peppermint candy for her, coloring her pictures, writing thank you notes, leaving bottles of water and more in our mailbox as a special surprise to let her know we appreciate her. Let the older kids cut off the strawberry stems (with a plastic knife). Your younger ones can slide the marshmallows on the stick.Mommy or Daddy may want to do the icing part. 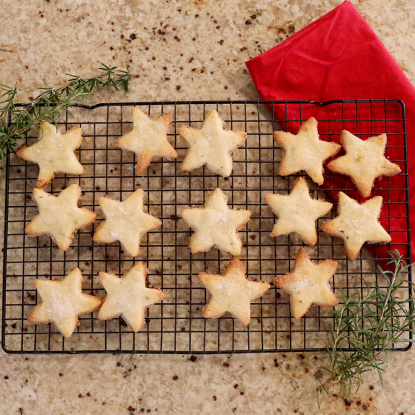 Simply place the icing in a sandwich baggie and cut a small slit in the bottom corner. Squeeze the icing to that end and draw thin icing lines around the marshmallow. Let the kiddos add the eyes and nose. 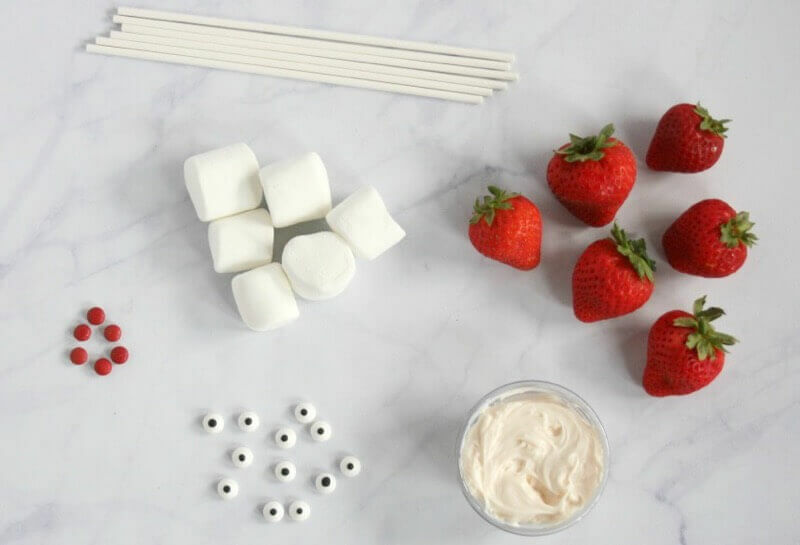 Place cake pop sticks into large marshmallows. 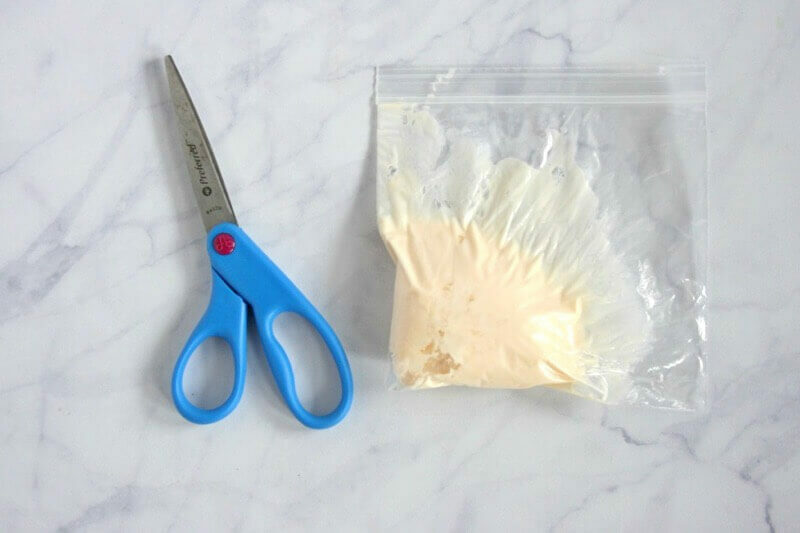 Place icing in a sandwich size plastic zip bag. 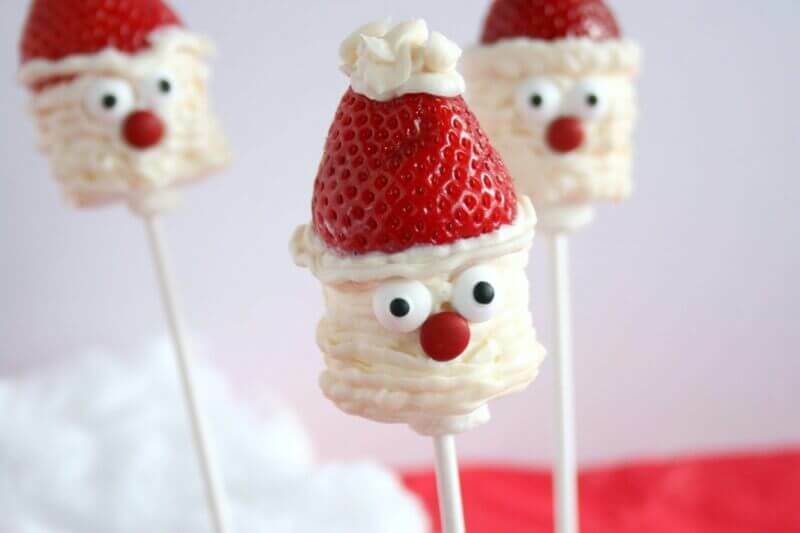 Cut a small hole in the corner and squeeze icing in thin lines around the marshmallow to create “Santa’s beard”. Make sure to add icing to the top of the marshmallow. This will help the strawberry stick. Add strawberry to the top of the marshmallow, making sure the stick goes through both the strawberry and marshmallow. 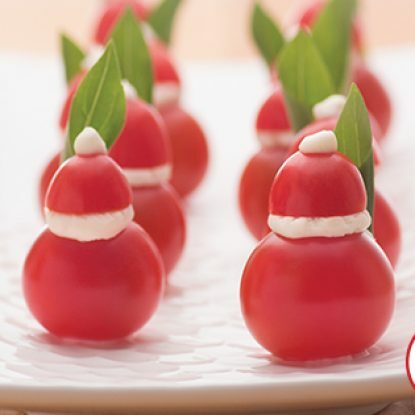 Place a dollop of icing on tip and rim of the strawberry to add the “fluff” to Santa’s hat. Add eyes and red candy nose to Santa’s face. They should stick to the icing already on the marshmallow, but you can add extra icing to the back if you notice them falling off.